first car, what do you think? uhhh is there a pic ment to be there ~? Now that is a nice mk1..Lovin it, like a fat kid loves chocolate. might give mat a nice sum of money lol i wouldnt mind seeing it in the day tho do like a mk1, i have his number so i will give him a ring in a week or two, think that is a good idea ?? yamann you could doo, i kno theres a guy from llandudno whos also intrested in his golf yeah. 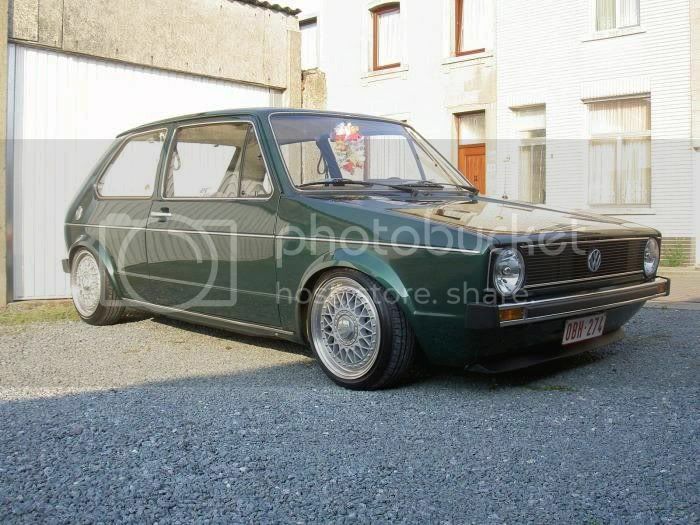 fair doo's mattys mk1 is soo clean. Yeh i have to agree matty's car is pretty mint. Deffo worth the money he's askin...Buy it laa. wooot mats mk1 for sale ? Not sure matey do u want me to pass your number to him and ask him to ring u? Subject: Re: first car, what do you think?